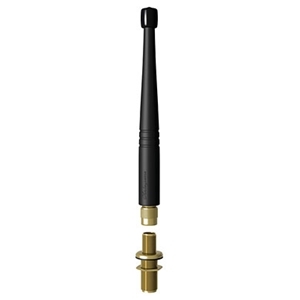 Designed especially for small boat applications needing only short range communications, the Style 5912 is a small, space-saving antenna that attaches and detaches with ease, once the included Flush Mounting Kit has been installed. The connectors are gold plated for low-loss performance. It's compact, light weight, and easily stored. SWR: Adequate across Marine Band. 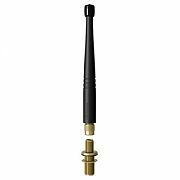 Precise SWR depends upon antenna location on boat.